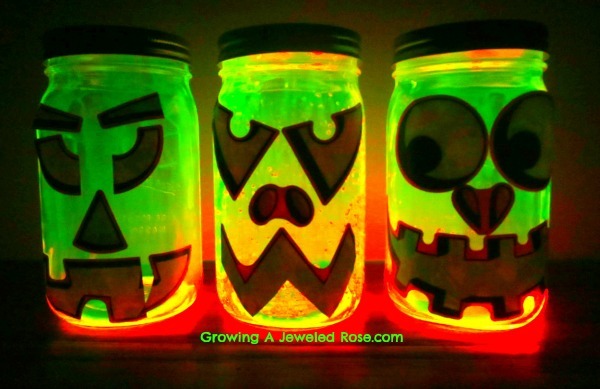 Making glow lanterns is a simple and fun activity for kids. 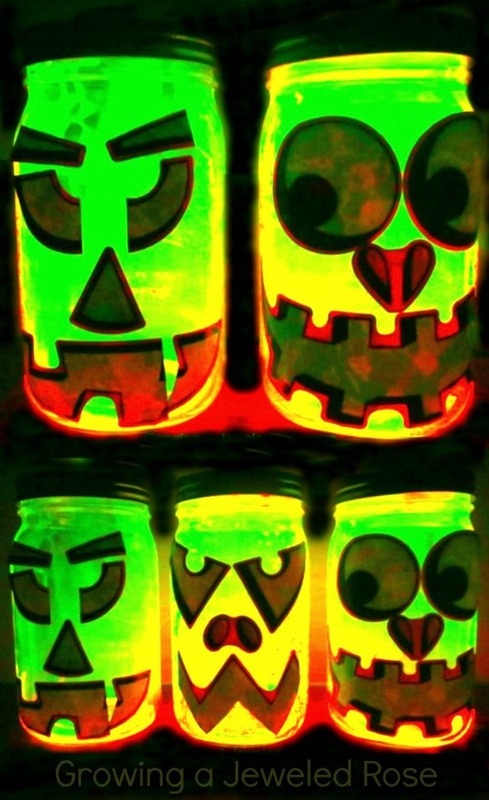 Today, we put a fun spin on this project and made glowing pumpkin lanterns. 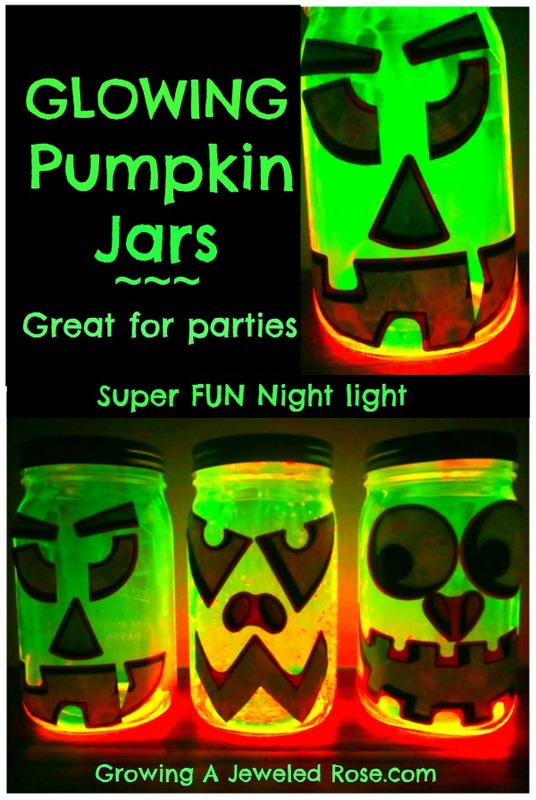 These glowing lanterns make a fun nightlight for the kids. They also look great on stoops and in windows. 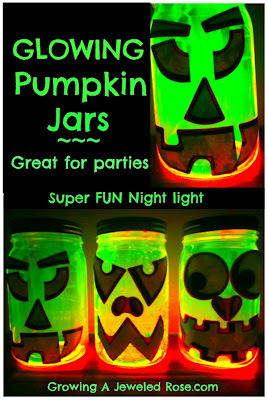 We actually used pumpkin decorating sticker decals for our jars. 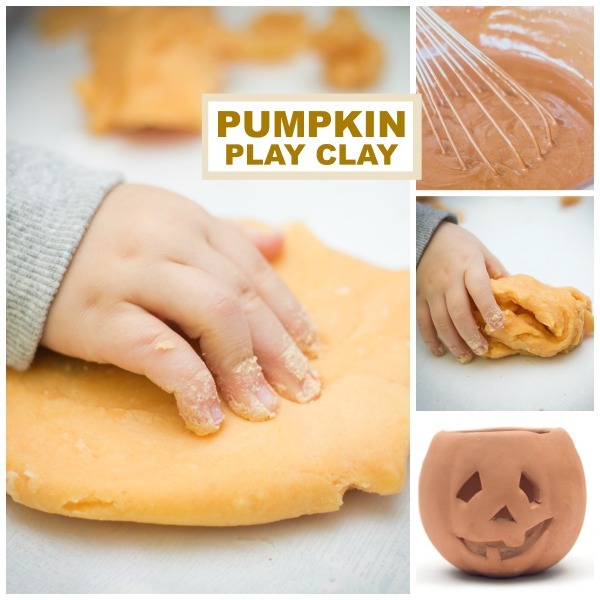 You can find similar stickers online here, or you can use any other craft supplies you would like to embellish your jars. Craft foam and a glue stick would even work. 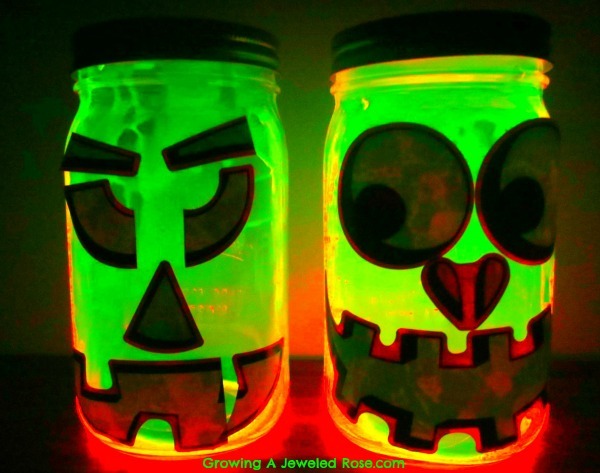 These glow in the dark jack-o-lanterns made a fun night light for my girls and would also be lots of fun for a Halloween party. 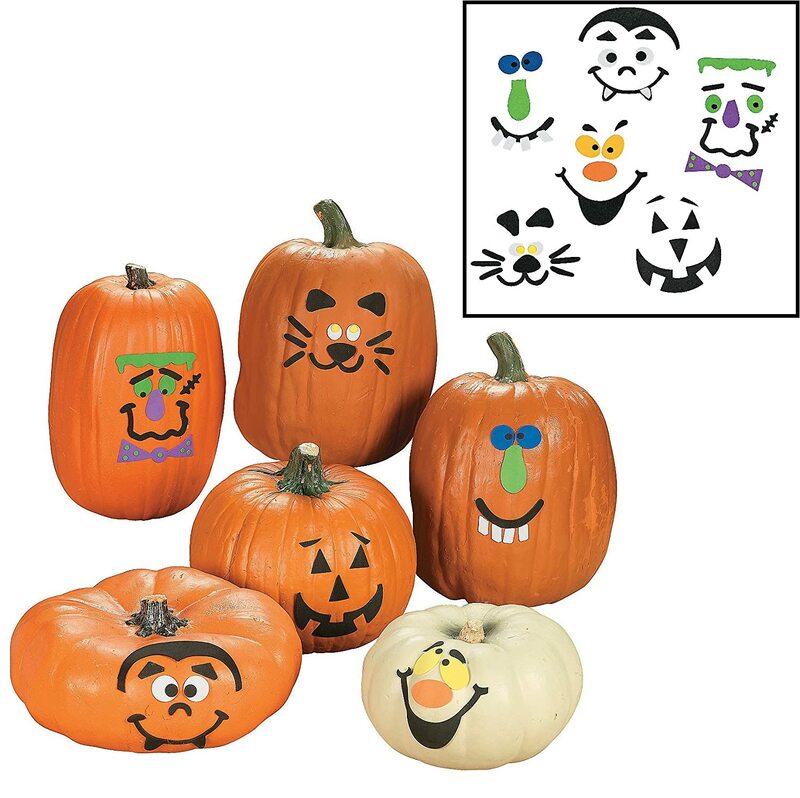 Glowing lanterns are also lots of fun in the Summer minus the cute pumpkin faces. 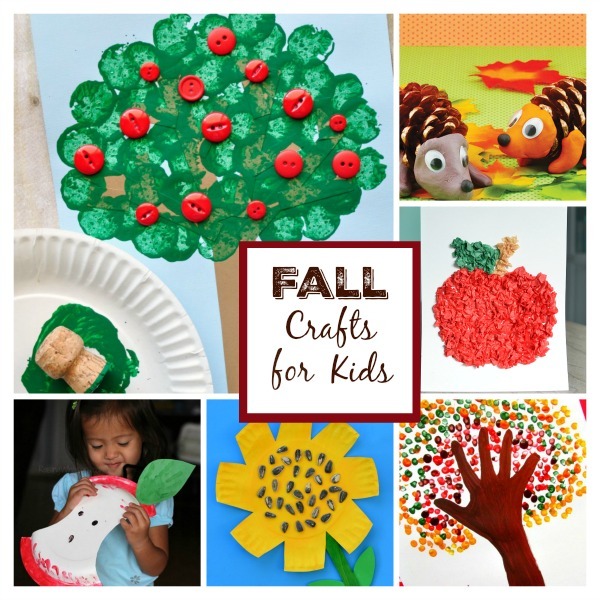 You can make a rainbow of colors and decorate them all sorts of ways! Note: I recommend a parent handling the glow stick materials regardless of a child's age. 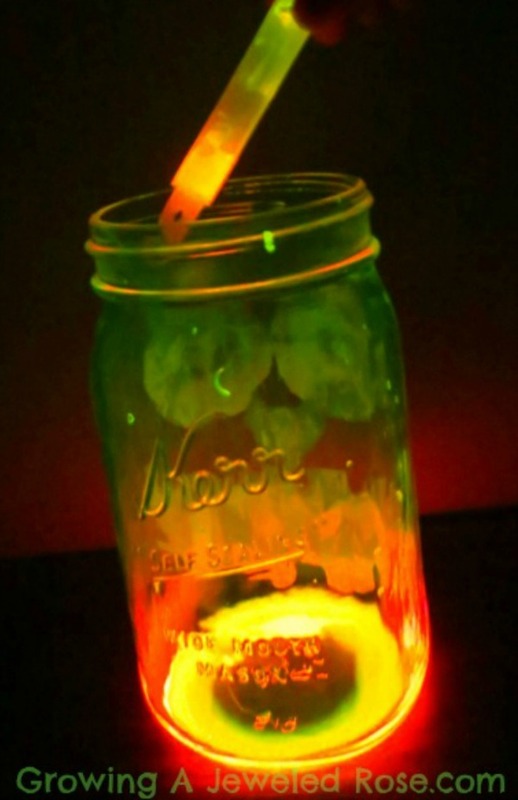 Some glow sticks do contain fragments of glass.